Diethyltoluenediamine Price - ZhangJia Gang YaRui Chemical Co., Ltd.
With polyurethane cool development, industrialization in the early 1980s and the extensive use of a hindered aromatic diamine chain extender, low viscosity, non-toxic, odorless liquid. Diethyltoluenediamine Price main raw material prices and a decision.Diethyltoluenediamine is toluene diamine (TDA) and ethylene as raw materials in the presence of a catalyst, high temperature and pressure occur G alkylation reaction, and refined. Diethyltoluenediamine for polyurethane products can improve the strength and hydrolysis resistance, so that products greatly improve productivity, and the large size and complex structure of polyurethane products industrialization possible. DETDA isocyanate vinegar faster reaction speed is also particularly suitable for solvent-free, fast-curing coatings. In addition, also as epoxy, alkyd resin curing agent, rubber antioxidant oils, dyes, pesticides intermediates, is a promising new chemical products. Diethyltoluenediamine much attention to the world, competing with developed DETDA chain of polyurethane products, the amount increasing every year. In the United States and Western Europe automotive RIMPU products are used almost the Diethyltoluenediamine. At present, because China's domestic production costs, compared to other countries, Diethyltoluenediamine Price The price is still relatively cheap, with good price competitiveness. 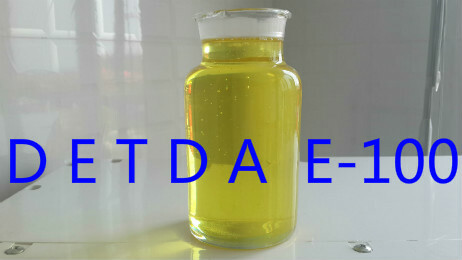 As described above, DETDA DETDA data produced in China and imported less, so not much difference in the quality of products, and that the final product depends Diethyltoluenediamine Price. If Diethyltoluenediamine Price product is not what you want, we can be customized according to your needs, please send us your order to Email: sales@yaruichem.com , or click here to post your buying lead.